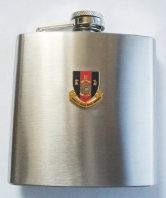 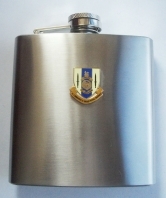 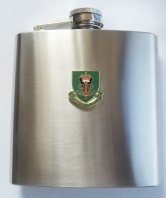 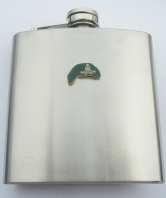 A selection of regimental hip flasks. 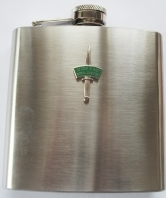 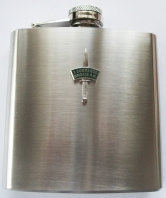 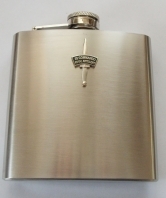 All 6 oz capacity. 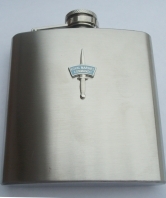 Some have leatherette cover.